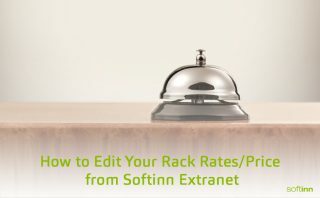 Log into our Softinn Extranet System (http://booking.mysoftinn.com/), you will be taken to our main page of “Dashboard“. Click open the “More“ and then “Price“ tab. You will be directed to “Price“ page. Choose the room type that you wish to edit. “Upper table“ showing default rates while “lower table“ showing price for specific date.Go to the end of the row to click the Green Icon under action column for the system to allow you to make the necessary amendments. Once the new rate or price edited, please proceed to click the “Save changes“ button for your changes to be successfully saved.